6236007 is a 6-pad rigid race disc made with high quality ceramic friction materials. The disc engagement is harsher, but shifting is faster. The race disc features top grade rivets to securely fasten the part together. The rivet design and materials are carefully selected for maximum strength. 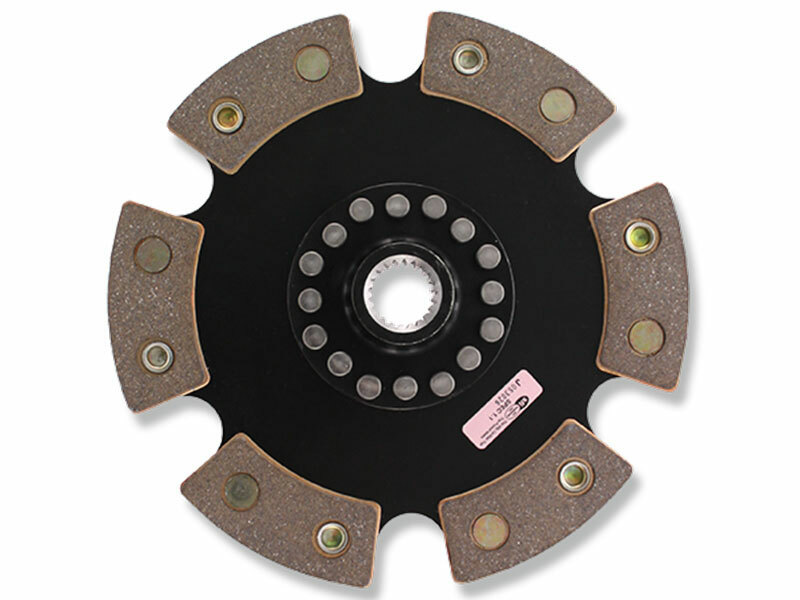 The 6-pad rigid race disc is recommended for larger clutch sizes to absorb more heat and for smoother engagement. ACT Difference - Holds approximately 28 percent more torque than standard organic materials.